My name says it all...I'm German. Or rather, I'm of German descent. My own German ancestors immigrated so long ago (1760s) that it's almost a fib to call myself German. My husband's ancestors, the Roelkers, migrated in the 1870s so I suppose he is a little more "German" than I am. Either way, I have always felt a strong connection with my German roots. 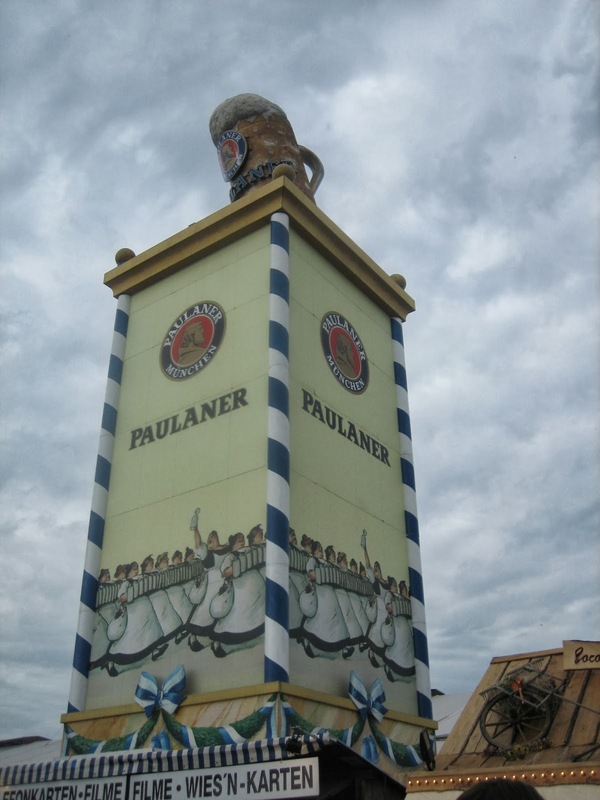 German roots and beer. Which is why, when our family lived in Germany with the military, I made a beeline for Oktoberfest. In September 2007, my husband was away on a deployment so a group of friends and I decided to travel down to southern Germany. At the time my son was 4-months-old. One of my favorite photos of my son and I. A testament to the fact that children really can go everywhere if you so choose! 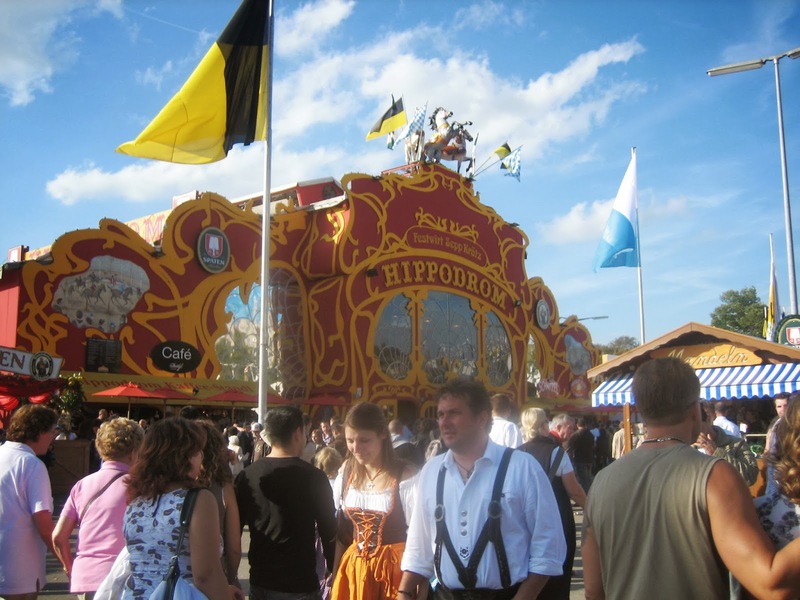 Oktoberfest was an absolute madhouse. A wonderful, glorious madhouse. Of course, it isn't really suited to children and we were not allowed to go in to some of the fest tents with our little ones, but we sure did find some beer. There is an unbelievable crush of people, regardless of the time of day. 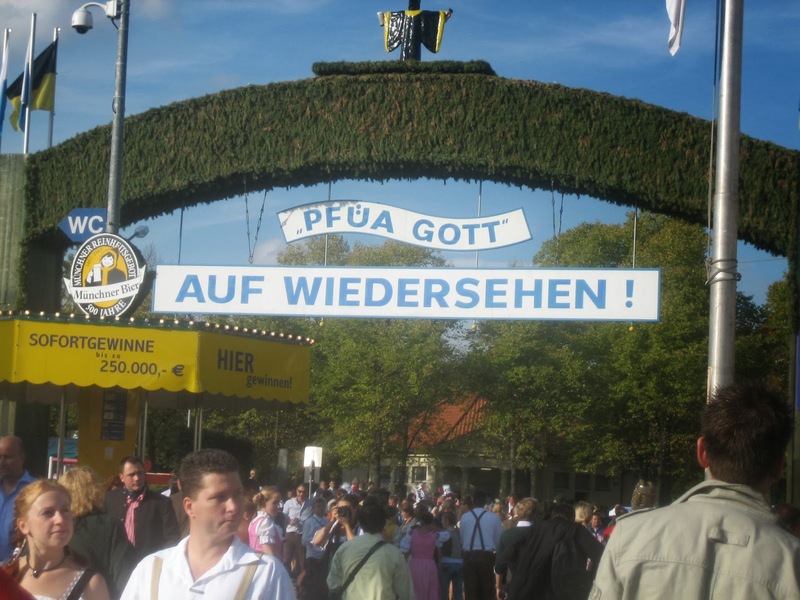 But this is true of any German festival. The scariest part of Oktoberfest? The bathroom at the Munich train station and the crush of people trying to board the train. Thank goodness my little one was strapped to me. 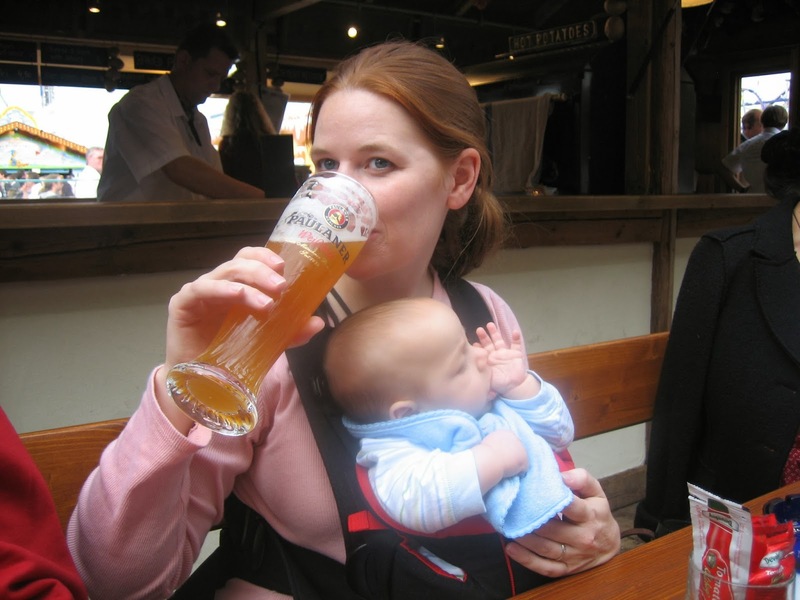 Luckily, being a new mom I was not able to imbibe as much as I would have liked so I had all my wits about me and we made it out alive. Diesen post ist ausgezeichnet! Vielen dank! Sie sind gern geschehen, Frau Roelker! 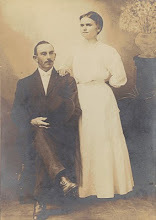 My paternal grandmother, Huldah (Hasselbaum) Tew, was first generation American. Both her parents came to the U.S. from Germany in the late 1800s. Unfortunately she did not speak any German, but my grandfather had taken it for a few years in prep school and college so he spoke German to her mother (which supposedly endeared him to his future mother-in-law). I took three years of German in high school, but wish I were fluent. A couple of years ago I was meeting with a middle school German teacher to get conversational German back, but she got too busy to continue and I have not found another person to work with yet. John, I also took German in high school, but didn't retain much. My dad lived in German for three years with the army and he still speaks a few phrases. 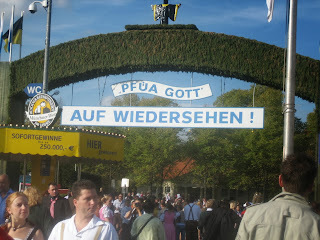 I would love to find someone to practice my German with. October always makes me want to improve my language skills! 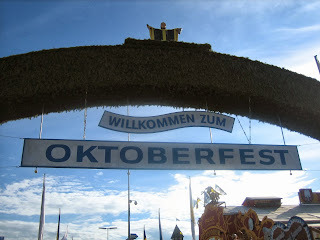 Revis, I have been to Fredericksburg, but not during Oktoberfest. That would be fun!